I’m from Boston. Since my city calls itself “the Athens of America”, I understand that the call of hosting the Olympics is hard to resist. Another moment to feel like the “Hub of the Solar System”. Its another chance to best New York in a contest. But this week when the US Olympic Committee named Boston its candidate to host the 2024 Summer Olympics, there was a groan that seemed either downright curmudgeonly or surprisingly informed. Some contests are just best lost. 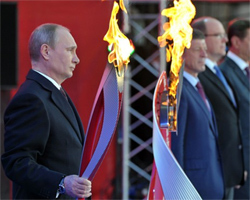 Consider that London spent nearly $20 billion to host the 2012 games, Beijing $40 billion in 2008, Sochi $51 billion in 2014. 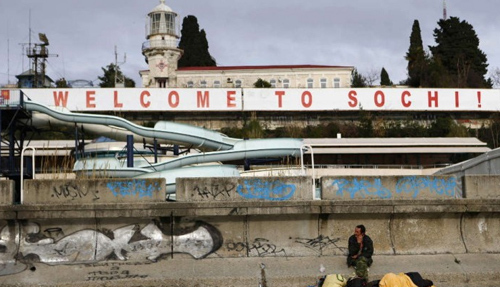 Seriously, how do you think tourism is thriving in Sochi or Lilyhammer? A review of recent Olympics shows a pattern of cost overruns which fail to be offset by new civic benefits. Since Boston has existing infrastructure, it will spend less than these. Its current budget is $4.5-$5 billion. But that is close to what London’s initial bid was, and it turned out about one fifth of its eventual expense. The two cities which have benefited most from the Olympics are Los Angeles, which negotiated an agreement that the International Olympic Committee would be responsible for all overruns, and Barcelona which fit the Olympics within a 20 year redevelopment plan which was already in in process. Neither of these is the case in Boston. While Olympic costs are, well Olympian in scale, the benefits of hosting are transient. Sure, host cities are flooded by sports tourists for two weeks in the Summer, but this often comes at the cost of other tourists and often workers who take time off and stay away. And this imposes an opportunity cost, because while sports tourists return home with once in a lifetime stories of watching fencing or curling, unlike a city’s permanent pleasures, the Olympic thrill won’t be there to draw future visitors. Boston enjoys close to full occupancy in its hotels during the all too short months of Summer. Sports enthusiasts already fill a mostly sold out Fenway Park. America’s Walking City is pretty good at spreading out visitors and entertaining them in a variety of neighborhoods. While the costs of building facilities, paying for security, and moving an audience to monolithic events would be certain – any benefit of spending years preparing for that simply isn’t. Want to address regional transportation needs, or build recreation centers, or affordable housing? Great, I’m all in for that. Let’s define who should benefit and muster our civic focus accordingly. The idea that planning a two week party for nine years will somehow better our focus our efforts that responding to real needs is at once the most optimistic and cynical gambit imaginable. I love Boston and a good party in it — but this is a sucker deal wrapped in regional pride. 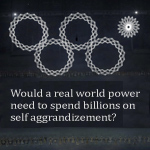 The model of a multiple nations competing every two years to gain a monopoly right to host the a world sports extravaganza is increasingly unnecessary. This could be better distributed, both to lessen impact on a single city, and to increase attendance and viewership by making Olympic competition accessible to greater audiences. Sure, the nationalistic spectacle of a single country being host to the World’s sport would be gone. But in its place would be a distributed network of sport in which the entire world could participate, and in which the absence of borders might better be celebrated than missed. Boston’s Olympic bid isn’t Boston’s at all. There’s been little transparency and no substantial public forum to discuss and modify its vision which was appreciably advanced by city leaders from the construction industry. Its possible that the schedule of Olympic consideration doesn’t provide for more consensus building than this. The great honor of hosting the Olympics might better go to a location still seeking its place in history, or searching for a way to make its name in the future. As a hub of scientific research, technical invention and higher education there are a lot of ways Boston can invest in its future that seem more plausible that hosting a sports spectacular. This may be one of those cases where its better to build your own fame than buy it from the Olympic movement, at least until its more distributed and easier to implement. A sign of true greatness may be not needing the Olympics to justify standing on the world stage. Creating a strong economy, improving quality of life for residents, and encouraging culture for great places is enough enough. Until the model of hosting the Olympics changes, the smartest role may be that of cheering from afar. Higher, stronger, farther, faster — and another place’s moment in the Olympic sunlamp.